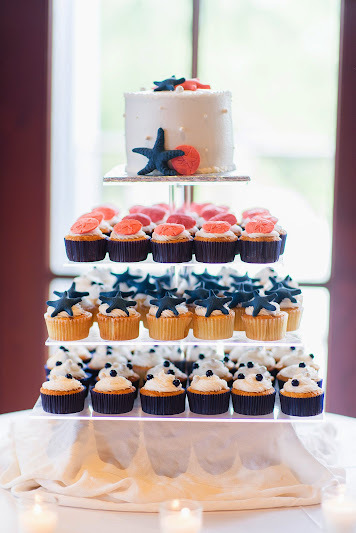 Cakes are always an exciting element of a wedding celebration. 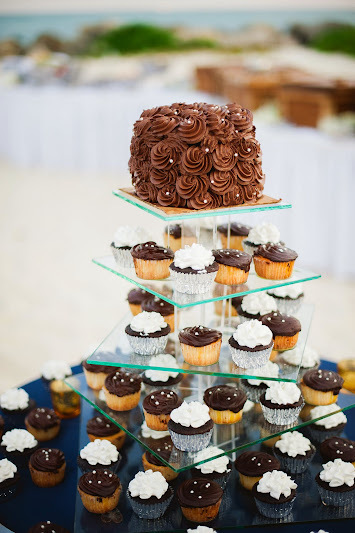 At a wedding reception, both dessert and wedding cake are served to guests … let guests eat dessert and cake! 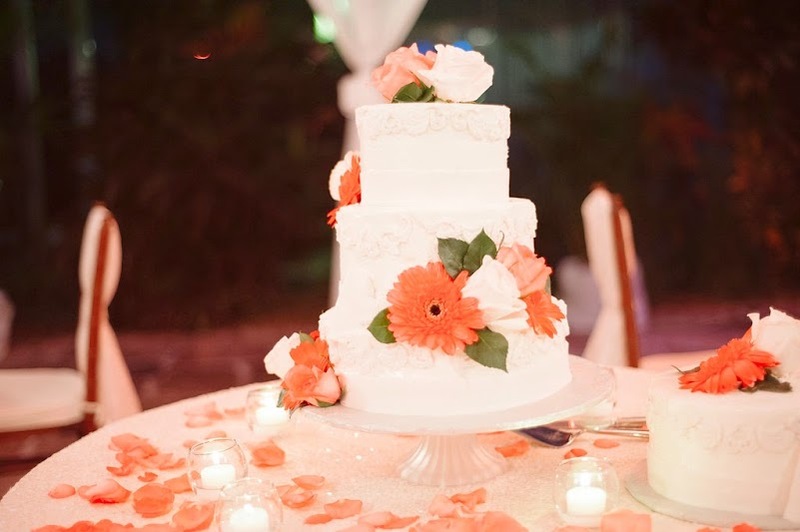 We compiled several pretty Bahamas wedding cakes for your viewing and enjoyment. Flavors, fillings and frostings vary and include such yummy delights as almond flavored or passion fruit cakes to reflect the tropics with butter cream filling and frosting. Our talented bakers will create whatever you fancy … this is beautifully designed to match the bride’s wedding style. Photo: Wilgrant Photography. Specialty cake boutiques design cakes for brides in colors of the year. Many of these companies will also ship your wedding cake to an Out Island of the Bahamas. Work with your Bahamas wedding planner to create not only the wedding cake of your choice but also one that is beautiful to look at and delightful in taste. Red Velvet, a popular selection by our brides. Photo: Wilgrant Photogrpahy. The ever popular shell design. Photo: WilGrant Photography. 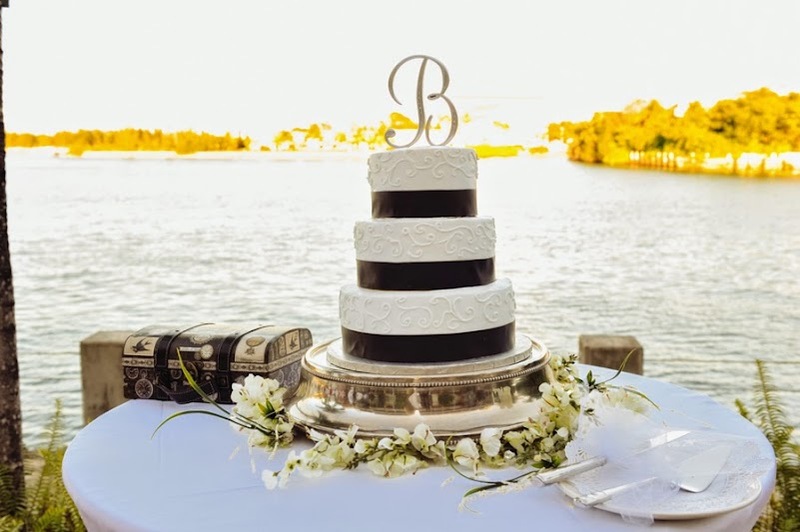 Chic Bahamas Weddings works with couples to design stunning, scrumptious Bahamas wedding cakes as well as decadent dessert bars whether your event is taking place in one of our major cities such as Nassau or Grand Bahama Island or and Out Island such as Exuma or Harbour Island. Contact us today to begin planning your magical day.